Since the beginning of time Australians have been drinking Riesling one way or another. I see this as the King of Diamonds in a pack of cards White Wines. Simply because they are sleepers and last a long time and stay the course. Last year I was due to make a Riesling, and after last November’s Frosts, It was about the only Riesling left unscathed; until next door’s sheep wandered in and ate the new shoots on the vine. This result was as bad a frost! Disappointment for all. Enough said. Come 2019 it will offer some magic opportunities from the Ludvigsen Vineyard! 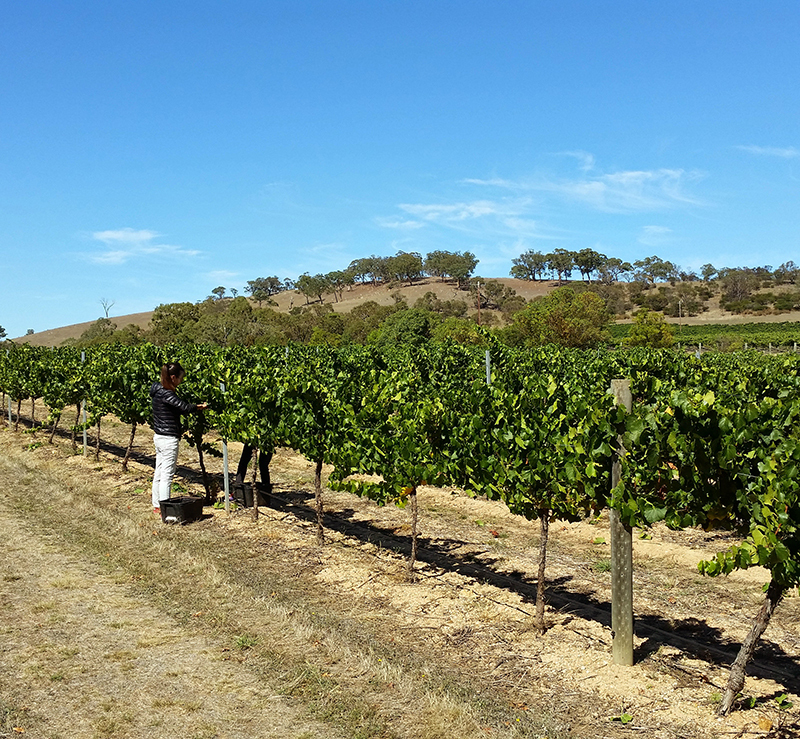 It was Mid November 2013 that Kym had pegged out the block so that the rows of vines were to be planted and the vines were ordered, and the irrigation was all set to roll out! Unfortunately, Kym died on 3 rd December that year and it wasn’t until the next spring that we planted it. And when I say we; it was a group of friends that came and made it happen and will eventuate in a crop in March 2019. Most of us would not know of what effort Kym went to find the most authentic grape variety to plant here, as Riesling was his passion in white wines. Again he sourced the “St.Ethels” clone of Riesling from an old vineyard in Great Western. This process is cutting edge “Tissue Culturing” ensuring the purest form of the variety without viruses or bacterial diseases. Clones were Kym’s passion trying the find the ones that winemakers wanted and economical to grow. Over the years a good Riesling made by me, has been elusive. Now in the Grampians Riesling Style has seemed to click with me. The style of my previous wines has been well received by the customers we have sold to; in fact, beyond my expectations. One thing is for sure, the customer is King and trying to suit your palate is never easy. This coming vintage in 2019 will be exciting; I will be looking for the fresh zingy fruit style which resonates Limes, Lemon, Ripe Apple and tropical/passionfruit fragrances leaping out of glass. I will be trying out some new yeasts to compliment the mouthfeel to accentuate structure so sweetness is in the background, and that acidity is balanced.